All you need is an orange, some cloves, and some ribbon to hang them up. Slice the fruit into 1cm thick slices. Place on an old tea towel and fold it over the slices. Press gently, soaking up as much juice as possible. Place the slices on a cooling rack and place into a preheated oven 140C/120C fan/gas 1. Leave in for 2-3 hours then leave in the oven to cool. While they’re still warm, push cloves through and make a hole for the ribbon. Day 13 already?! Christmas will be here before we know it! Today we’re making lolly stick snowflakes. Making sure to protect your surface, spray the lolly sticks gold and let them dry. Stick three together in a snowflake shape and decorate with the gems and sequins. Glitter glue would work well on these. You can attach some ribbon and hang them from the tree or just use some Blu-Tak to stick them on the walls. 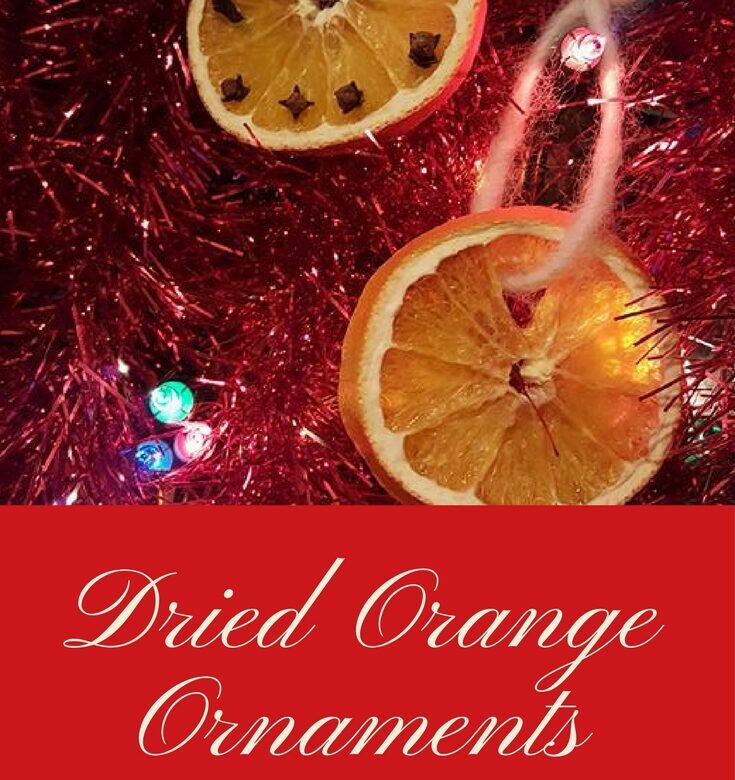 For day 14 we will be making dried orange Christmas tree ornaments. All you need is some string, an orange and some cloves. It’s day 12. Ella made the paper angels for our tutorial today. She did ask me for a help with a bit of the cutting but the decoration is all hers! Using a lid from a soda bottle, draw around it, above the centre fold. Draw a straight line from the top of the small drawn circle, up to the top of the large circle. Cut down the line and stop when you get to the small drawn circle. Draw lines either side of the small drawn circle to make the wings. Cut out along the lines as in the picture below. Draw some triangles on the wings as in the photo. It’s hard to see on the photo but you need to draw a bigger circle around the first small circle you drew. Cut along the lines of both circles on one side, stopping when you get to the centre line. This will make an arm. Fold down the top half of the circle. To make the angel’s halo, fold a piece of paper in half and draw half a halo along the fold then cut it out. Use glitter glue to colour the halo and let it dry. Lift the wings and arms up and out of the way. Decorate the angel’s dress. Fold her dress into a cone shape and secure with sticky tape. This is what you should now have. Stick the halo on with sticky tape. 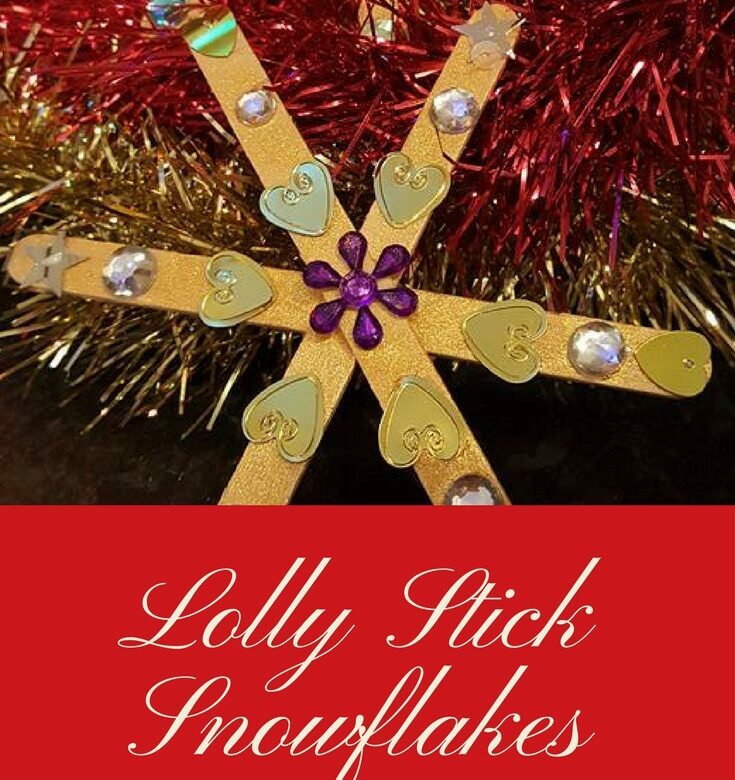 Tomorrow is day 13 and we’ll be making Lolly Stick Snowflakes. 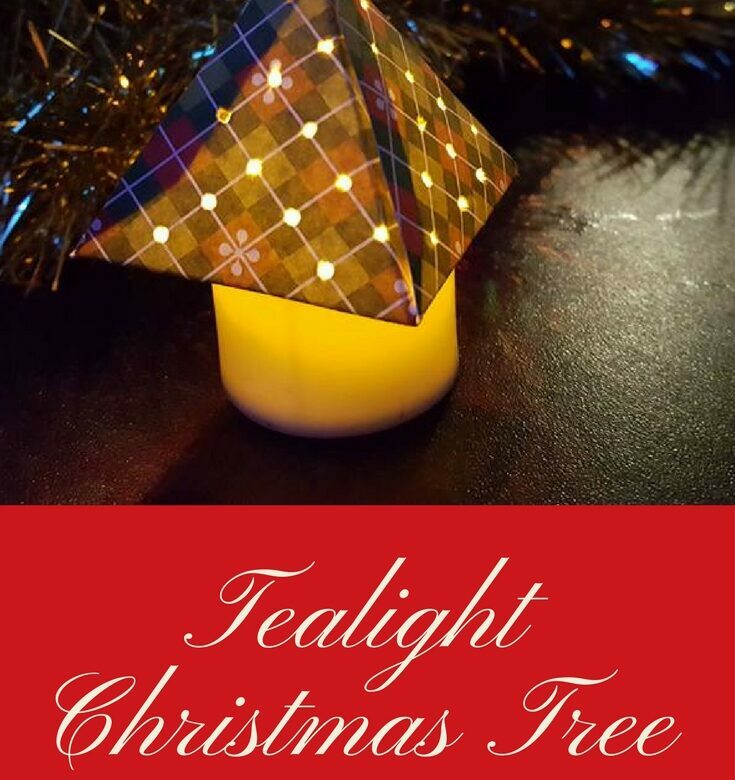 Day 11 of our #24XmasCrafts advent and today we’re making tealight Christmas trees. Draw a square that’s big enough to fit your tealight on and draw round it. Add more squares to make a 9 square grid. Draw triangles on the four middle squares as in the photo. On one side of each triangle, draw a flap which will be used to stick the sides together. Now fold up the triangles and glue each flap, one a time. Stick together to form a pyramid. Place on the light and switch it on 🙂 If we get time, we’re going to make more using different patterns and sizes. Half way there already! 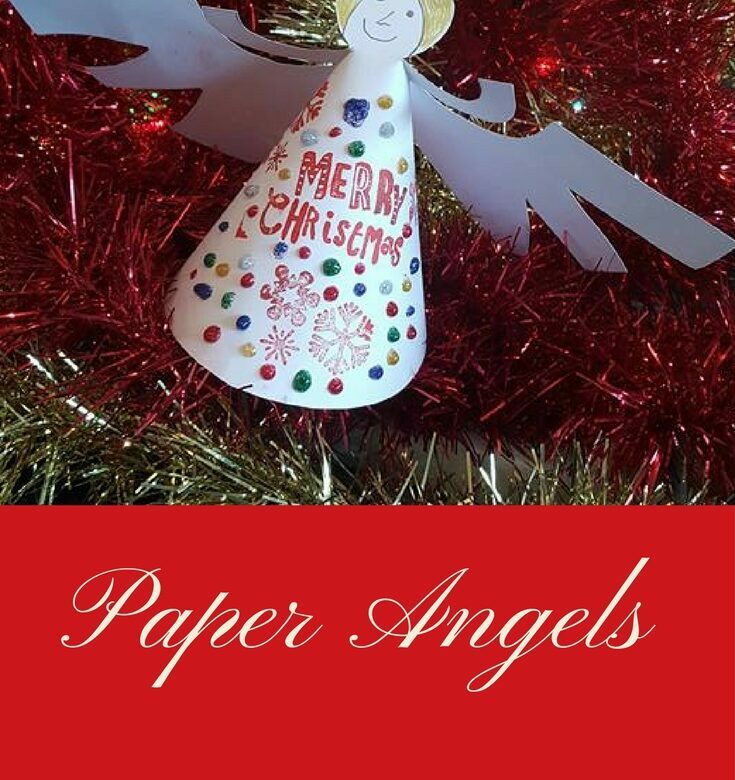 For day 12 of our 24 Xmas crafts advent, we’ll be making paper angels. Start by printing out a snowflake template and tracing it onto baking paper if you don’t have tracing paper. There are some templates here. 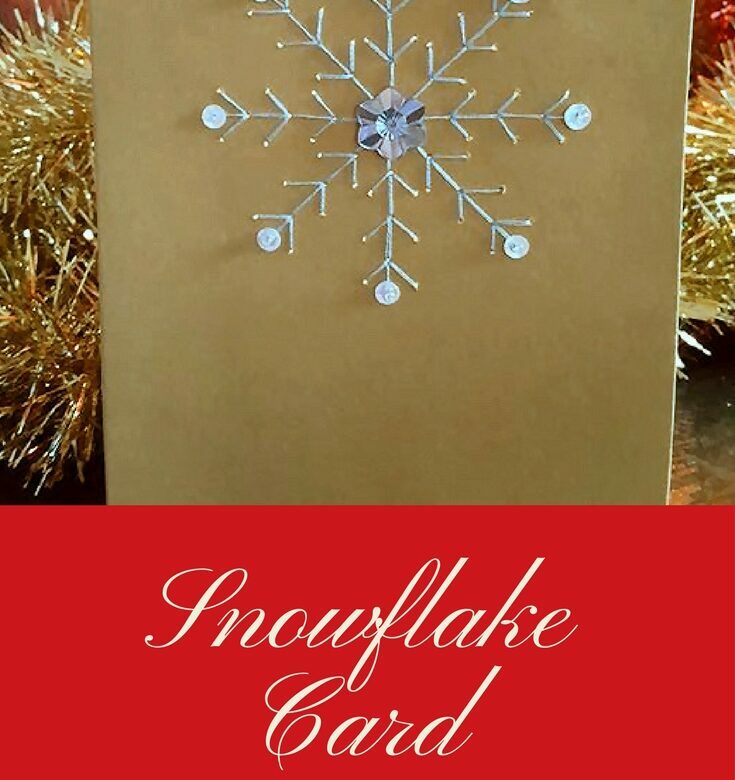 Using Blu Tak, attach the baking/tracing snowflake in position on the blank card. Using the needle or other pointy object, like my screwdriver, poke holes at all the points of the snowflake. Thread your needle with your selected colour thread (I used 2 strands) and knot the end. Start embroidering your card. When you’ve finished embroidering the snowflake, add your first sequin. Bring the needle up from the back of the card and thread the sequin on. Now thread on the bead and put the needle back down through the same hole. Continue adding sequins and beads to each point of the snowflake. 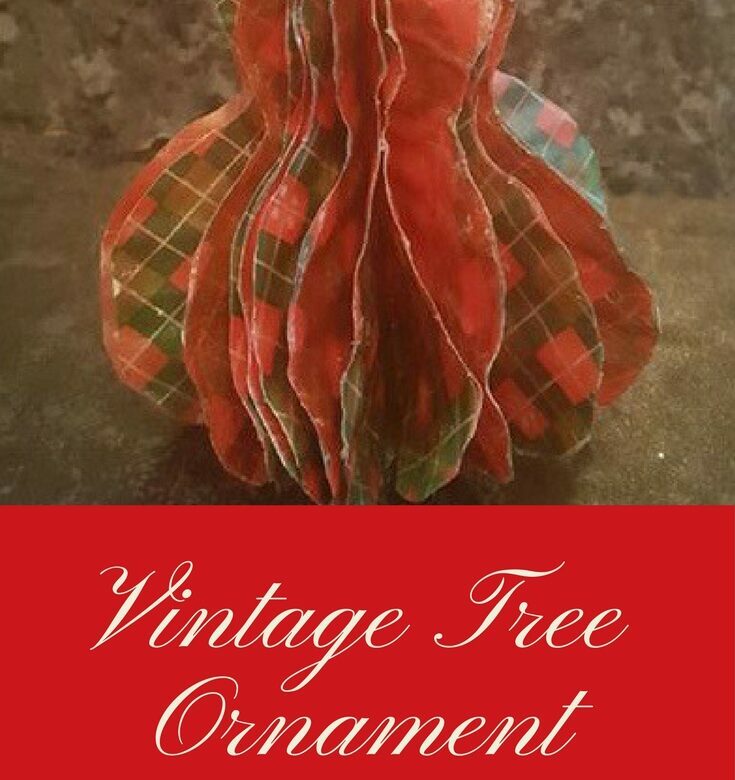 Our day 9 craft, a vintage paper tree ornament, is another one by the super wonderful husband. It’s quite time-consuming and the S.W.H. made it because he had more patience than I did! Ant cut all his pieces and folded them first. When you’ve decided on the shape you want, make a template. Use it to cut about 20 more shapes out of the folded pieces. Carry on glueing the pieces together until you’ve glued most of them.